I was just listening to the 'Damlelya Babachi Kahani' by Salil Kulkarni and Sandeep Khare, and it made me cry, which wasn't unusual. The duo has sung such an amazing song. I love the lyrics, and it is special for every daughter and every father. Truly superb song. This Diwali my dad wouldn't be in India to celebrate it with us. He is in China, and couldn't get a leave. I miss him so much. For the non-Marathi speaking readers, I would like to explain the song in few words: The title's direct translation is 'A Story of a Tired Father'. In this, the singers sing how a father is sorry for not being there with his daughter due to workload. He hates it that he couldn't spend much time with his daughter in her childhood, and that he misses her when out for work. He also asks her if she would remember him forever, and that have tears in her eyes after marrying and leaving the house. Such a heart-touching song this is. Even my father cries listening to it. You know how stern fathers are; they hardly cry. So you should understand how strong this song is. 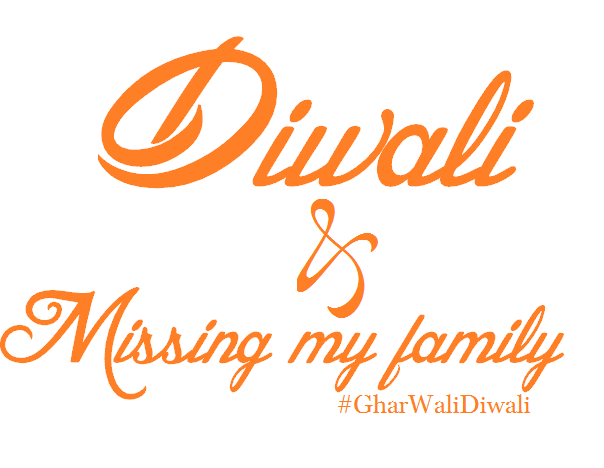 This Diwali, not just my father, but even my cousins and family wouldn't be with me. This year I'll be with mom, brother, and friends. I miss my cousins. Spending festivals without them is so tough. After Ganesh Chaturthi, Diwali is what we look forward to in order to meet each other and have a splendid family time. I love Diwali, and I love all the colours and lights around. The atmosphere is crazy. I wish I was spending Diwali with all the family members. I will definitely miss them.